Welcome to Pendery Golden Retrievers! The kennel name was derived from my first name, which is also my mother’s maiden name. I have been a dog lover from day one and once I got my first show quality dog, my life changed forever! 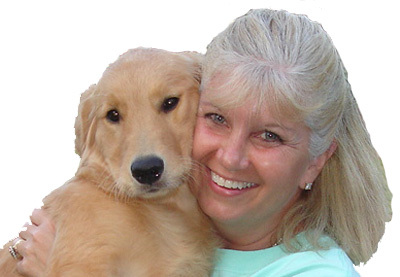 A special “THANK YOU” to Kathy Smith of Goodtime Goldens! She sold me my first show golden and made me promise to show him. As a person of my word, Dakota started showing and became my first champion. While I may not have many litters to speak of, my goal is to breed quality not quantity. The goal with each breeding is to breed show quality goldens with sound temperament. I typically keep a puppy from each breeding so quality is of the utmost importance to me as well. Since a large portion of each litter must go to families with children, temperament is a must! All my dogs are family members that have the ability to sleep on the bed at night as well as travel with me if possible. Of course they must earn the privilege to be on the bed. They typically are groomed once a week to keep in beautiful shape whether they are showing or not. I am at my happiest when grooming my dogs! I spend a considerable amount of time with each one training on basic obedience, agility, and conformation. All of this pays off in the end. I enjoy showing my own dogs as long as they are puppies. Once they are 18 months or older, it is time to let the professionals do it. I am an active member of Sandlapper Golden Retriever Club, the Atlanta Golden Retriever Club, the Atlanta Kennel Club, and the Golden Retriever Club of America. I am the past president of the Atlanta Golden Retriever Club. For more information about purchasing a puppy, please visit the Golden Retriever Club of America website (www.grca.org) and select “SEARCHING FOR A GOLDEN RETRIEVER”.